An official photo of Yamaha’s new Fazer8 has finally surfaced, along with some additional details on the Fazer8 and its sibling, the FZ8. We showed you the official image of the FZ8 last month. According to an interview conducted by MCN of a Yamaha Motor Europe official, both the Fazer8 and the FZ8 will feature an “all-new engine with the emphasis on torque”. Previously, there had been speculation that these bikes would receive a sleeved-down version of an R1 or FZ1 motor. If the motor is actually a ground-up design, it makes these bikes all the more interesting. 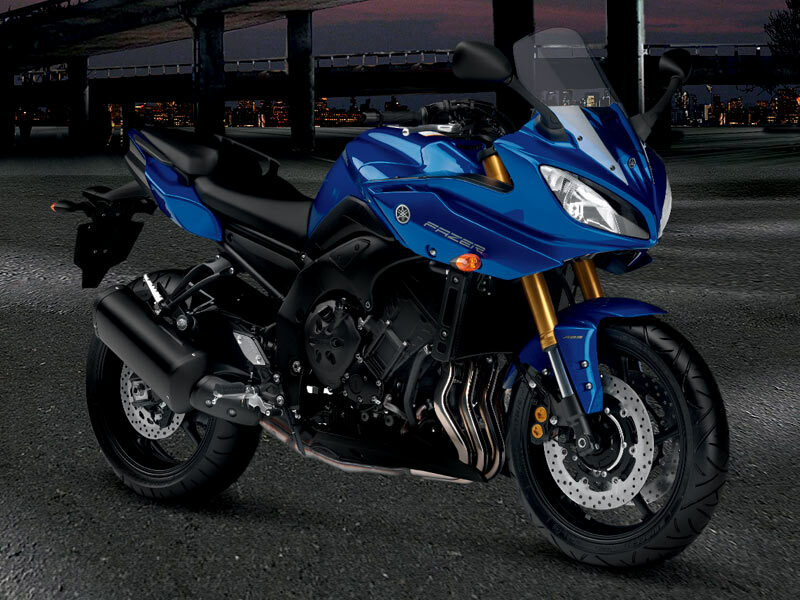 Additional photos and detailed specifications will be released by Yamaha on March 12. At this point, we have no idea whether Yamaha will make either of these bikes available in the U.S. I truly hope that Yamaha brings the half faired version to the U.S.
bike, now the the VFR 800 is gone. neither of which is appealing to me. be a do it all motorcycle.